I got big plans for August. I'm hoping to make it through six books this month. 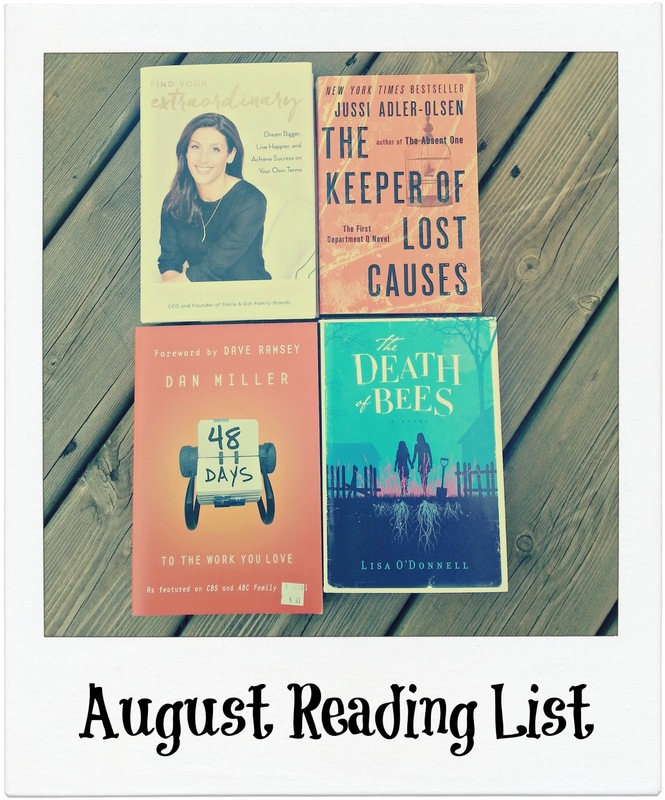 I've got some that I started last month, but here are the four that made the reading list for this month. 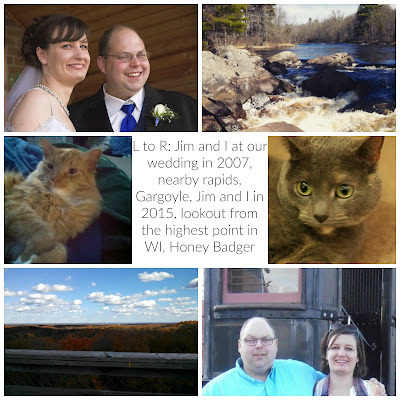 Warning: It's kind of a hodge podge of randomness. Finding Your Extraordinary by Jessica Dilullo Herrin- This one came at just the right time. I'm looking for uplifting stories of women who get stuff done. 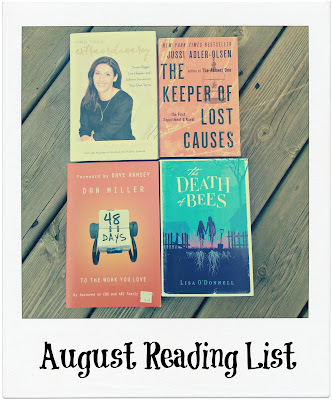 The Keeper of Lost Causes by Jussi Adler-Olson- One of my girl friends read this and I don't think she really enjoyed it so it kind of got pushed to the back of my to be read pile, but my desire for a Scandinavian mystery caused me to pull it out for August. The Death of Bees by Lisa O'Donnell was a library book sale find from a few years back and reading the back cover now, it sounds a little dark, but I decided to give it a read anyway. It rated out at 3.80 on Goodreads, so that's a good sign right? 48 Days to The Work You Love by Dan Miller- With all the weirdness going on at work, I've been pulling anything that may be illuminating off my bookshelf and giving it a closer look. There's conflicting info on whether your work should be your calling, after all, as Mike Rowe argues, we need septic tank cleaners and bug exterminators. And I'm willing to bet those people don't feel that their work is their calling even though it's important. But, I figured I could at least give this one a read. Anyhow, with being temporarily/partially laid off as late, I figured I should be able to catch up on my Goodreads challenge (I'm currently two books behind), and if I get all these read, I still have books from past months and even last year, still waiting to be read. What is one book you're hoping to make it through this month?